As part of a study on how elephants communicate, scientists from Cornell University installed several low-frequency recording devices on the grounds of a nature park in Central Africa to capture their vocalizations. 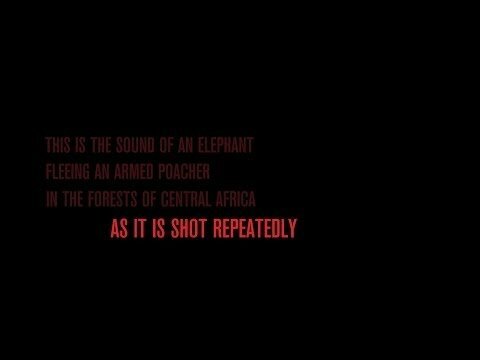 But later on, while poring over hours of audio, the team realized they also picked up a sound that's become all too common in the region -- gunfire from ivory poachers. Today, the Wildlife Conservation Society released that recording, along with the grim reminder that elephants are being hunted at a rate of 96 per day. Given current trends in poaching, fueled by the illicit ivory trade, conservationists predict that wild African elephants could be extinct in just over a decade.